Sumru Ağıryürüyen (voice), Korhan Erel (computer, controllers), Giray Gürkal (electric guitar, effects) will present an evening of solo, duo and trio improvisations at Gitar Cafe, where they will attempt to look at music and each other from different viewpoints. 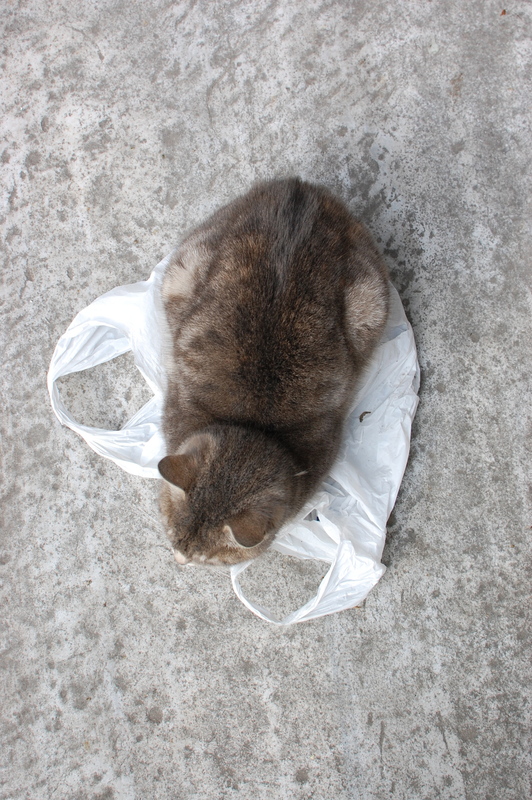 The cat, in the meanwhile, will simply keep on sleeping on her plastic bag. This concert will be followed by Özgür Müzik, a monthly gathering of free improvisation organized by Korhan Erel. Özgür Müzik will start around 9.30pm and is free for all musicians to attend. This entry was posted in Performances and tagged özgür doğaçlama, bakış açısı, bilgisayar, computer, controller, electric guitar, elektrik gitar, Free Improvisation, giray gürkal, Gitar Cafe, Istanbul, kadıköy, ses, sumru ağıryürüyen, viewpoint, voice. Bookmark the permalink.